RonDoids: Happy Father's Day! - What is it? - Why do we celebrate it? - How is it celebrated around the world? Happy Father's Day! - What is it? - Why do we celebrate it? - How is it celebrated around the world? A customary day for the celebration of fatherhood in Catholic Europe is known to date back to at least the Middle Ages, and it is observed on 19 March, as the feast day of Saint Joseph, who is referred to as the fatherly Nutritor Domini ("Nourisher of the Lord") in Catholicism and "the putative father of Jesus" in southern European tradition. This celebration was brought to the Americas by the Spanish and Portuguese, and in Latin America, Father's Day is still celebrated on 19 March. The Catholic church actively supported the custom of a celebration of fatherhood on St. Joseph's day from either the last years of the 14th century or from the early 15th century, apparently on the initiative of the Franciscans. In the Coptic Church, the celebration of fatherhood is also observed on St Joseph's Day, but the Copts observe this celebration on July 20. This Coptic celebration may date back to the fifth century. 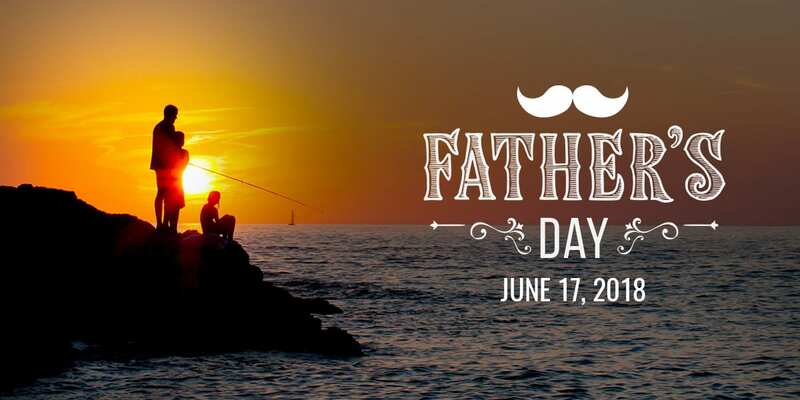 In 1912, there was a Father's Day celebration in Vancouver, Washington, suggested by Methodist pastor J. J. Berringer of the Irvington Methodist Church. They mistakenly believed that they had been the first to celebrate such a day. They followed a 1911 suggestion by the Portland Oregonian. In Aruba, Father's Day is celebrated on the third Sunday of June and is not a public holiday. In Australia, Father's Day is celebrated on the first Sunday of September, which is the first Sunday of Spring in Australia, and is not a public holiday. At school, children handcraft their present for their fathers. Consumer goods companies have all sorts of special offers for fathers: socks, ties, electronics, suits, and men's healthcare products. Most families present fathers with gifts and cards, and share a meal to show appreciation, much like Mother's Day. In Belgium, Father's Day is celebrated on the second Sunday of June and it is not a public holiday. In People's Republic of China, the official Father's Day is celebrated on the third Sunday of June and is not a public holiday. This date was set according to international norms. Prior to the People's Republic, when the Republic of China (1912-1949) governed from Nanjing, Father's Day was celebrated on August 8. This was determined by the fact that the eighth (ba) day of the eighth (ba) month makes two "eights" (八八, ba-ba), which sounds similar to the colloquial word for "daddy" (ba-ba，爸爸). It is still celebrated on this date in areas still under the control of the Republic of China, including in Taiwan. In Denmark, Father's Day is celebrated on June 5. It coincides with Constitution Day. In Germany, Father's Day (Vatertag) is celebrated differently from other parts of the world. It is always celebrated on Ascension Day (the Thursday forty days after Easter), which is a federal holiday. Regionally, it is also called men's day, Männertag, or gentlemen's day, Herrentag. It is tradition for groups of males (young and old but usually excluding pre-teenage boys) to do a hiking tour with one or more smaller wagons, Bollerwagen, pulled by manpower. In the wagons are wine or beer (according to region) and traditional regional food, Hausmannskost. Many men use this holiday as an opportunity to get drunk. According to the Federal Statistical Office of Germany, alcohol-related traffic accidents multiply by three on this day. The tradition of Father's Day is especially prevalent in Eastern Germany. In Haiti, Father's Day (Fête des peres) is celebrated on the last Sunday of June and is not a public holiday. Fathers are recognized and celebrated on this day with cards, gifts, breakfast, lunch brunch or early Sunday dinner; whether enjoying the day at the beach or mountains, spending family time or doing favourite activities . In Hong Kong, Father's Day is celebrated on the third Sunday of June and is not a public holiday. 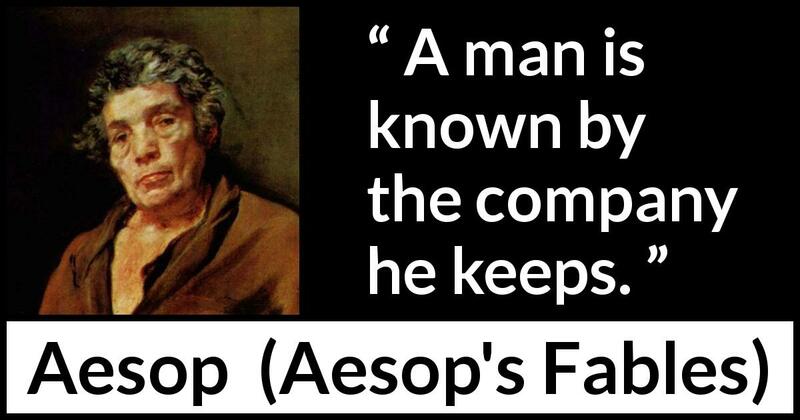 Father's Day is not celebrated in all of India. But is observed the third Sunday of June by mostly westernized urban centers. The event is not a public holiday. The day is usually celebrated only in bigger cities of India like Chennai, Mumbai, New Delhi, Bengaluru, Kolkata, Hyderabad and others. After this day was first observed in the United States in 1908 and gradually gained popularity, Indian metropolitan cities, much later, followed suit by recognising this event. In India, the day is usually celebrated with children giving gifts like greeting cards, electronic gadgets, shirts, coffee mugs or books to their fathers. In Italy, according to the Roman Catholic tradition, fathers are celebrated on Saint Joseph's Day, commonly called Feast of Saint Joseph (Festa di San Giuseppe), March 19. It was a public holiday until 1977. Kazakhstan continues the Soviet Union's tradition of celebrating Defender of the Fatherland Day instead of Father's Day like in Russia and other former soviet countries. It is usually called "Men's Day" and it is considered equivalent of Father's Day. In Kazakhstan this day is celebrated on May 7. In Macau, Father's Day (Dia do Pai) is celebrated on the third Sunday of June and is not a public holiday. In the Netherlands, Father's Day (Vaderdag) is celebrated on the third Sunday of June and is not a public holiday. Traditionally, as on Mother's Day, fathers get breakfast in bed made by their children and families gather together and have dinner, usually at the grandparents' house. In recent years, families also started having dinner out, and as on Mother's Day, it is one of the busiest days for restaurants. At school, children handcraft their present for their fathers. Consumer goods companies have all sorts of special offers for fathers: socks, ties, electronics, suits, and men's healthcare products. In the Philippines, Father's Day is officially celebrated every first Monday of December, but it is not a public holiday. It is more widely observed by the public on the 3rd Sunday of June perhaps due to American influence. In Poland, Father's Day is celebrated on June 23 and is not a public holiday. The Law instituting the Father's day in Romania passed on September 29th, 2009 and stated that the Father's day will be celebrated annually on the second Sunday of May. This was first time celebrated on May 9th 2010. This year this will be celebrated on 13 May 2018. The next days this celebration will take place are: 12 May 2019, 10 May 2020, 9 May 2021, 8 May 2022, 14 May 2023, 12 May 2024 and 11 May 2025. .
Russia continues the Soviet Union's tradition of celebrating Defender of the Fatherland Day instead of Father's Day. It is usually called "Men's Day" and it is considered the Russian equivalent of Father's Day. In Samoa, Father's Day is celebrated on the second Sunday in August, and as a recognised national holiday on the Monday following. In Slovakia, Father's Day (In slovak: deň otcov) is celebrated on the third Sunday of June. It is not a public holiday. In South Sudan, Father's Day is celebrated on the last Monday of August. The president, Salva Kiir Mayardit, proclaimed it before August 27, 2012. First celebrated on August 27, 2012, Father's Day was not celebrated in South Sudan in 2011 due to the country's independence. Father's Day (In sinhala : Piyawarunge dhinaya, පියවරුන්ගේ දිනය & in Tamil: Thanthaiyar Thinam, தந்தையர் தினம்), is observed on the third Sunday of June. It is not a public holiday. Many schools hold special events to honor fathers. In Thailand, the birthday of the king, is set as Father's Day. December 5 is the birthday of the late king Bhumibol Adulyadej (Rama IX). Traditionally, Thais celebrate by giving their father or grandfather a canna flower (ดอกพุทธรักษา Dok Buddha Ruksa), which is considered a masculine flower; however, this is not as commonly practiced today. Thai people will wear yellow on this day to show respect for the late king, because yellow is the color of the day for Monday, the day King Bhumibol Adulyadej was born. Thais flood the Sanam Luang, a massive park in front of the palace, to watch the king give his annual speech, and often stay until the evening, when there is a national ceremony. Thais will light candles and show respect to the king by declaring their faith. This ceremony happens in almost every village in Thailand, and even overseas at Thai organizations. In United Arab Emirates, Father's Day is celebrated on June 21, generally coinciding with midsummer's day. In the United Kingdom Father's Day is celebrated on the third Sunday of June. The day does not have a long tradition; The English Year (2006) states that it entered British popular culture "sometime after the Second World War, not without opposition". In Ukraine, Father's Day is celebrated on the third Sunday of September. VenezuelaIn Venezuela, Father's Day is celebrated on the third Sunday of June and is not a public holiday. Traditionally, as on Mother's Day, families gather together and have lunch, usually at the grandparents' house. In recent years, families also started having lunch out, and as on Mother's Day, it is one of the busiest days for restaurants. At school, children handcraft their present for their fathers. Consumer goods companies have all sorts of special offers for fathers: electronics, suits, and men's healthcare products.